The SPS® VITESSA SL is engineered to meet even the highest standards within the modern precision screen printing industry. The solid top frame can be extended on four posts, thus allowing direct access to the sheet stream without obstruction - for immediate inspection “on the fly”. Short setup times and high ease of operation combined with best reproducibility. Even for the smallest runs, top net production results can be achieved with the degree of precision that is exclusively guaranteed by the Original SPS® STOP Cylinder Principle. 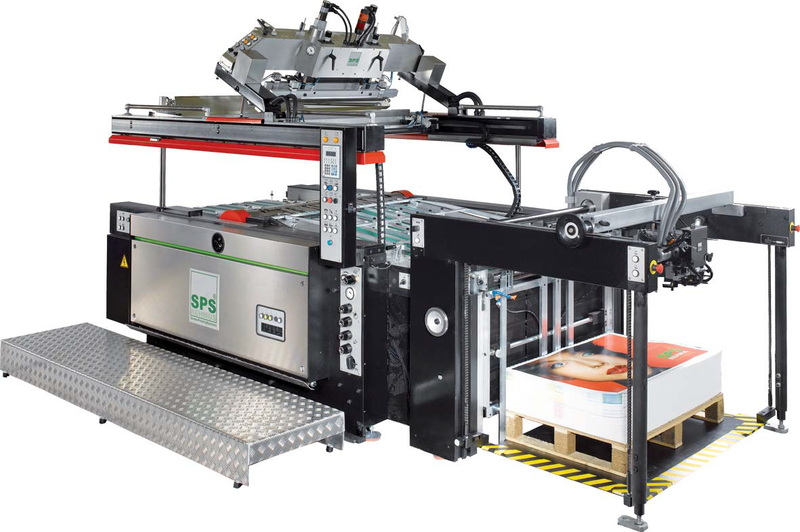 Unrivaled solid construction, ease of operation and immediate return on investment have made the SPS® VITESSA screen printing machines the top-selling STOP cylinder presses in the world. 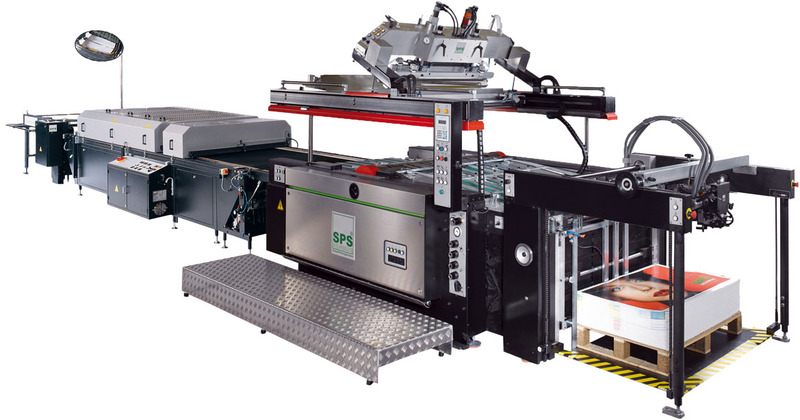 The SPS® VITESSA SL adds fours post frame extension to make precision adjustments in a matter of seconds. 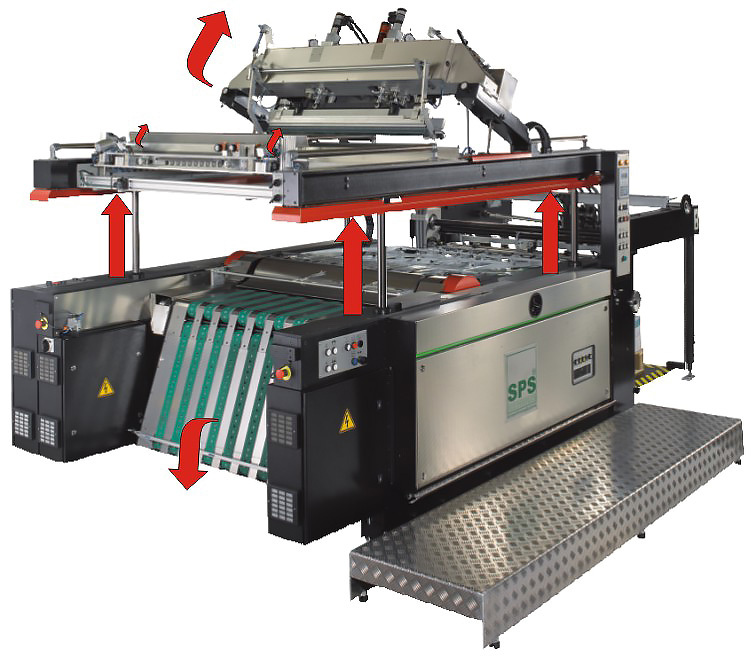 The SPS® synchroline system with automatic belt speed synchronization between the print line components guarantees sheet transition from pile to pile without flutter and friction. Maximum sheet size (mm) 650 x 900 25" x 35" 750 x 1060 30" x 42"
Minimum sheet size (mm) 280 x 420 11" x 17" 280 x 420 11" x 17"